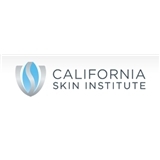 California Skin Institute (Campbell) - Book Appointment Online! Emma knows her stuff! She's like the House of dermatology. Very short visit. He was professional. Maybe I'm just healthy but he didn't spend very long with me. She's great. Very personable and knowledgeable. Very fast but very professional and thorough. Dr Ball an incredible Doctor ! This practice sees patients at 21 locations.